This Bali accommodation offers a beachfront location on Tanjung Benoa Beach and is just a short drive from the bustling area of Nusa Dua. Holiday Inn Resort Bali Benoa is popular for couples and families, with a wide selection of room types catering to the needs of both types of travellers. Guests have access to the fantastic facilities including 4 swimming pools, restaurants and bars, a day spa, fitness centre and an extensive kids club. 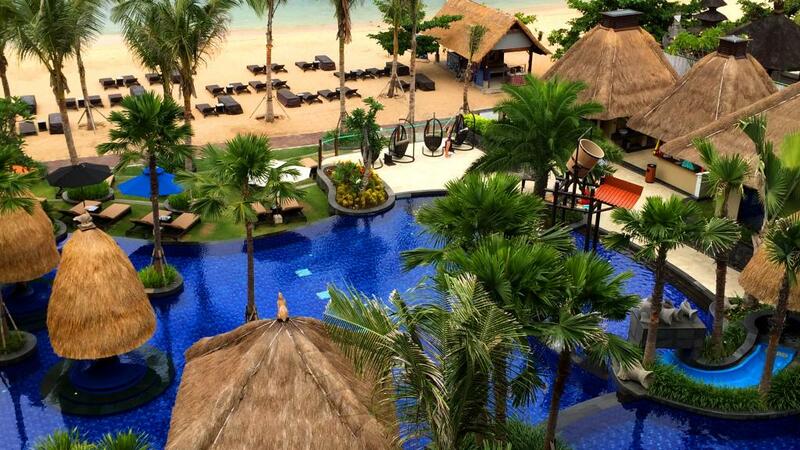 For a memorable family holiday or relaxing couples escape look no further than Holiday Inn Resort Bali Benoa.